In spite of early reports about skyrocketing grape sugars owing to the hot, dry summer and small grapes of 2015, my extensive tastings of this vintage from barrel and tank during late autumn made it clear that this will be one of the half-dozen top vintages for red Burgundy of the past generation. The vintage’s standout wines—and there are a lot of them in 2015—offer a rare combination of succulent deep fruit, mouthfilling density of texture, ripe fine-grained tannins, and enough energy to ensure at least mid-term ageability. In terms of their consistent quality and broad appeal, 2015 will be a difficult vintage to top. 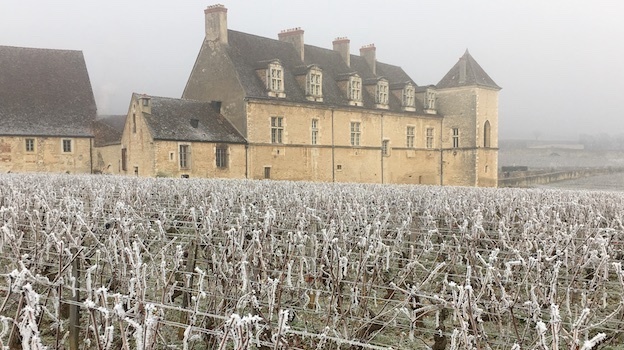 I spent more time tasting the new crop of red Burgundies this time around than ever before: two weeks in November and two considerably colder weeks in December. 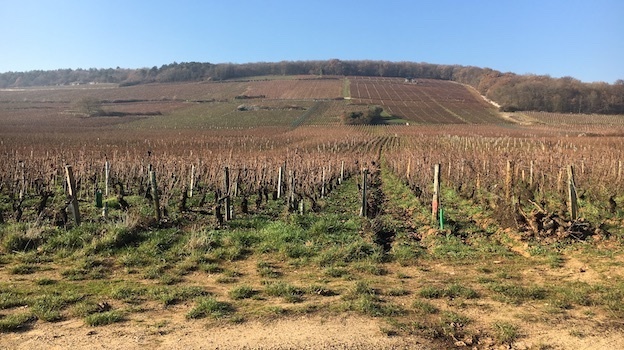 As the purpose of my visits was to sample the excellent 2014s from bottle in addition to the ‘15s, my four weeks in the region were pretty close to paradise for a long-time Burgundy lover. Two thousand fifteen was a dry and very warm growing season, close enough to ideal that numerous growers told me they would happily sign up for the same low-stress conditions every year. (Hard-core weather fans may wish to refer to my earlier report on the 2015 white Burgundies for a more detailed look at the climatic conditions of 2015.) Following a fairly mild winter, the months of March through August were warmer than average, with all of those months except August seeing more sunshine hours and less rainfall than usual. June and especially July were the most atypically warm, and there was an extended and extreme heat spike during the last few days of June and the first week of July, with peak afternoon temperatures in the vineyards on some of those days approaching 100 degrees F. Precipitation totals were well below average in March, May and June and next to nothing in July. Some vineyards, especially those on shallow, quick-draining soils or planted to young vines, suffered to varying degrees from hydric stress and a blockage of maturity in late June and July, but well-timed rain events in August restarted the physiological ripening process. Although budbreak occurred at the normal time during the first half of April, the warm conditions in April and May led to an early, quick and regular flowering that began at the end of May and mostly finished during the first week of June. But the heat during the flowering resulted in millerandage (shatter) and even some coulure (shot berries), which reduced the ultimate size of the crop. A heavy rainstorm in mid-June provided crucial water reserves to the soil. Although neither rot nor insect pests were problems in this dry year, oidium (powdery mildew) attacked many areas from late May into early July, and well-timed spraying with sulfur- or copper-based fungicides was critical. These treatments often had the effect of toughening the grape skins, and of course the hot sunshine and drought conditions of July further exacerbated this tendency. The thick grape skins go a long way toward explaining why there were no serious rot pressures following the rains of August and even during at least the first several days of rain in mid-September. Grape sugars continued to rise while acidity levels remained healthy. A short but sharp heat wave during the last days of August had the effect of bumping up potential alcohol levels in the grapes (and, according to a few growers, increasing acidity too) via evaporation of water. 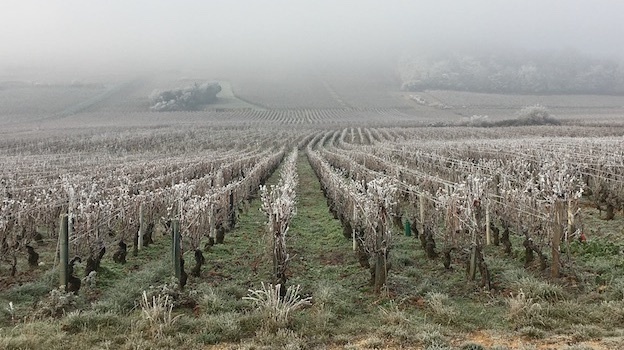 The heat broke on the night of August 31/September 1, fortunately with only moderate rainfall (in contrast to conditions in Chablis, which was struck by a severe hailstorm), and sugar accretion and acid loss slowed down. The Pinot Noir harvest took place almost entirely under moderate temperatures during the first three weeks of September, although picking conditions were far better during the first 11 days of September than they were thereafter. The earliest harvesters began on the 2nd or 3rd while others, particularly in the northern Côte de Nuits, started a week or more later—a small number of estate not beginning until a day or two after heavy rainfall on Saturday and Sunday, September 12 and 13. The 14th and 15th witnessed light precipitation but the 16th and especially the 17th brought additional heavy rainfall. At this point, most growers rushed to bring in any remaining fruit. Happily, there was virtually no rot and sorting of the fruit was barely necessary. While some growers noted that eliminating sunburned grapes was critical to making wines without grilled aromas, there was very little underripe fruit. Potential alcohol levels were generous, at many estates beginning at 12.5% or even 13%, with several of the growers I visited reporting that certain of their parcels approached—or even exceeded—14%. Relatively few growers felt it necessary to chaptalize any but their lowest-sugar lots but a number told me that they made slight late sugar additions simply to extend the fermentations by a day or two. Total acidity levels were low but that was because there was scarcely any malic acidity in the grapes, and many winemakers reported that their wines barely changed during the malolactic fermentations. 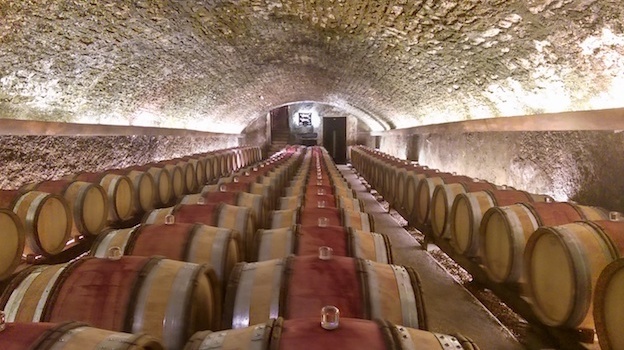 As the levels of the more stable tartaric acidity were essentially normal and pHs mostly reasonable, the 2015 reds do not generally lack for energy, even when they are obviously very ripe. On the contrary: the vintage’s successful wines come across as fresh and sappy. Yields varied widely depending on local variables such as rainfall totals and the success of the flowering but in most cases were lower than average—and sometimes much lower, especially in areas of the Côte de Beaune where the vines were still recovering from the impact of hail during the previous three vintages. The berries were generally small in 2015, with less juice than usual. Virtually every producer I visited this fall noted that extraction of color and tannins came easily in 2015. With memories of the powerfully structured and sometimes overextracted 2005s in their heads, many winemakers carried out softer vinifications, with less reliance on pigeage (punching down the cap during the fermentation to distribute the skins and other solids through the wine) and more on remontage (pumping the wine up from the bottom of the tank and spraying it over the top of the fermenting must). Softer vinifications and tannin extraction appear to have been a consistently constructive choice for the ‘15s, as many of the 2005s are still forbidding today and some growers are beginning to wonder aloud whether their wines from this vintage will ever come around. The alcoholic fermentations generally finished expeditiously and without difficulty. At some addresses the malolactic fermentations also finished early but at others they took place at their normal time in late winter and spring or even lingered into summer (a small percentage of wines did not finish their malos until shortly before, or even after, the harvest of 2016 and there were even a few that were still working at the time of my November and December visits). While the low levels of malic acidity in the grapes were one reason for early malos, so were warmer-than-normal cellars, as the winter of ‘15/’16 was a relatively mild one. Vinification with a portion of whole clusters was quite popular in 2015, and many winemakers raised their normal percentage of vendange entier. Including stems in the fermenters offers a host of possible advantages, beginning with helping to fill half-empty tanks and slightly cooling and prolonging the fermentations. The stems can also add a range of fresh aromatics to the wines and contribute a structural component, even though vinification with stems typically has a pH-raising effect on the wines. Of course, the stems must be sufficiently ripe so as not to bring intrusive green or vegetal qualities to the wines, and this was generally, though not always, the case in 2015. At long last, Burgundy has had a vintage that’s consistently successful throughout the Côte d’Or, as yields were rarely excessive and there was sufficient sun and warmth to ripen virtually everything. Many growers on the Côte de Nuits expressed the opinion that Gevrey-Chambertin was favored by the climate, as there was a bit more precipitation there during the summer months and the vines were more likely to have been able to take advantage of slightly longer hang time. Some wines from Vosne-Romanée and Nuits-Saint-Georges struck me as a bit tougher and more backward in the early going than the typical 2015 and that may be at least partly due to the element of oidium and the need for repeated vineyard treatments in these villages. At the same time, normally cool terroirs like Clos de Vougeot and higher-altitude sites in Gevrey-Chambertin often yielded wines with more refined tannins and thus less austerity than usual. Similarly, areas that typically produce wines with an element of rusticity (such as sections of Nuits-Saint-Georges and Beaune) benefited from the extra density and riper tannins of 2015. One grower specifically mentioned that vineyards on the south slopes of the region’s many combes (small east-west valleys in the hills that are open to cool breezes from the northwest) enjoyed a slower ripening curve with good retention of natural acidity in the grapes, which was a big advantage in 2015. I tasted some wonderfully deep, complex wines from Volnay, as well as some Beaune wines that showcase the high (and widely underrated) quality of this village’s top sites. Yields were often very low in Volnay, Pommard and Beaune—considerably lower, as a rule, than on the Côte de Nuits—and some of these wines show highly concentrated, creamy textures and almost chocolatey ripeness. Vintage 2015 stands out for its fruit concentration, texture and depth. While the vintage displays a distinct tendency toward ripe darker fruits, at the level of the best producers relatively few wines show obviously roasted or cooked character. Some, however, display an element of surmaturité in their candied or liqueur-like fruit notes; but when these wines possess enough aromatic lift and inner-mouth tension they can be utterly captivating. In general, I was pleasantly surprised by the sappiness and energy of the young ‘15s in November and December. As a rule, the wines have also digested their oak well—or at least have the strength of material to support their wood element. Happily, the slow trend toward less use of new barrels continues. It’s pretty clear that the best window for picking stretched from September 2 through the morning of September 12, although even within this range there are both underripe and overripe wines. Many growers on the Côte de Nuits told me they harvested in just four or five warm, sunny days between September 5 and 11. But some who brought in at least a portion of their fruit after the rains on September 12 and 13 maintained that there was no rot and that the balance of their wines benefited from a slight increase in juice in the grapes and a slight softening of the grape skins. A few maintained that their fruit reached a plateau of ripeness at a certain point in early September, and that sugar and acidity levels in the grapes remained virtually steady for up to ten days while the skins continued to ripen. And of course, growers who did not pull leaves could often benefit from a bit more hang time. While I tasted numerous late-picked wines that miss out on the nerviness of the vintage’s best examples, harvest dates are ultimately less important than the actual balance of the grapes at the time they were picked, and that balance is of course a function of multiple variables. As a very general rule, I found three different categories of wine in 2015, based on degree of ripeness at the time of harvest. First are the wines with brisk, high-pitched red fruits accented by mineral and floral notes and showing superb flavor definition, inner-mouth tension and terroir character. There are also many wines that show a darker fruit character but also possess good energy and lift; at this point, these wines strike me as the most emblematic of 2015. While their site specificity is often masked by fruit and baby fat in the early going, I am confident that time in bottle will allow these wines to shine. Then there are wines with very ripe black fruit flavors verging on chocolatey, often with a distinct thickness of texture—even a heaviness—and an impression of lower acidity. The wines in this group may always be dominated by their very warm vintage character. Certainly, all three categories will have their admirers, although purists should probably avoid the superripe examples. Owing to their generosity of fruit, seamless texture and ripe tannins, many wines may well offer a great deal of early pleasure. But the concentration, substantial ripe tannins, healthy pHs and overall balance of the better 2015s—even some with elevated alcohol levels—should also ensure a slow and positive evolution in bottle. The best examples of 2015 will be cellar treasures. When I asked producers to compare 2015 to an earlier vintage, most of them mentioned 2009 or 2005, although they tended immediately to point out how their ‘15s differed from—and exceeded—these two sets of wines: less dominated by their warm vintage character and more concentrated in the northern Côte de Nuits than the ‘09s and less obviously tannic than the powerful ‘05s. A few growers described their young 2015s as like a blend of ’09 and ’10, which strikes me as pretty reasonable for the better wines that show more red than black fruits and good inner-mouth tension. Some of the riper, fleshier, darker-fruit wines remind me of the 1990s; and a couple of growers compared their young ‘15s to the 1985s. But I suspect the top 2015s, owing to their low yields and serious density, will be longer-lived than the ‘85s. Although some producers of white wines mentioned the furnace-like 2003 growing season as a point of comparison last spring, that was not the case with Pinot makers. The fruit character of the ‘15s is clearly fresher and juicier. I should emphasize at this point—once again—that my vision of the 2015 vintage is based on my visits to about a hundred of the region’s top producers, so I did not see a lot of bad wines. But even among the addresses I visit, there are wines that fail to capitalize on the great potential of the 2015 growing season. Disappointments include wines that show cooked-fruit character or clear signs of sunburned grapes, wines that come across as diffuse and lacking in energy, heavy wines and wines with unrefined tannins or obvious finishing warmth. In some cases, grape sugars galloped far ahead of true phenolic ripeness and the wines can be dry-edged or even slightly green. And of course wines that were overextracted are unlikely to deliver on the vintage’s potential sensuousness. Based on their low yields, high skin-to-juice ratios, deep fruit, uncommon density, mostly sound pHs and substantial but ripe tannins, the 2015s are likely to age well, with the better cru bottlings potentially very long-lived. But 2015 is generally not a vintage to bury in your cellar: many wines will be likely to give immense pleasure relatively early. Will some of them shut down in bottle and go through an extended closed stage? Certainly the jury is out among the producers I visited, with some feeling that the wines will always be accessible and others believing that they simply have too much material, and tannins, not to go through a sullen stage at some point in their evolution in bottle. But it’s very hard to imagine that these wines will ever shut down to the extent that the 2005s have. While the top crus of 2015 will be scarce and expensive, with the wines spread thinly around the world, this is a prime vintage for buying village wines. As there was sunshine to spare and most sites could thoroughly ripen their fruit, many of these wines are uncommonly sweet, fleshy and satisfying—and they offer the advantage of earlier drinkability, good news for restaurants and those without consistently cool cellars. The same goes for the unusually high quality of basic Bourgogne Rouge bottlings, which I have covered this year in greater number than ever before. But note that growers who rushed to pick in order to prevent sugars from running away from them (and to finish before the heavy rainfall that was predicted to begin on September 12) often began with their top crus and left their village fruit hanging. Sometimes this worked out well but in other cases their lesser wines may have gotten a bit too ripe and lost their tightly coiled spring. The so-called lesser wines of 2015 are generally more satisfying than their 2014 siblings, as the earlier vintage favored sites with better sun exposure and lower crop loads. But the best 2014 cru bottlings are often quite striking in a more precise, soil-driven style. I will publish a separate article in the coming weeks on the 2014s from bottle.